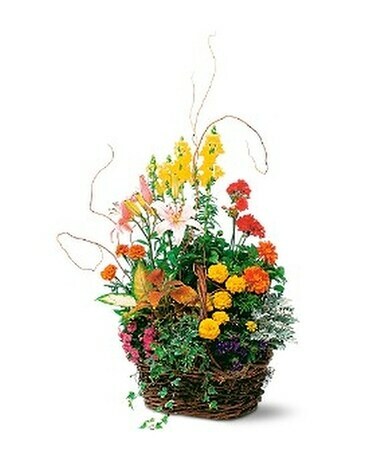 This joyful basket simply bursts with bright bedding plants and long-lasting green plants. Send it and the summer merriments will really last. Marigolds, lilies, dianthus, verbena, geraniums, along with ivy and dieffenbachia, are delivered in a wicker basket with handle.